1. If I join Air Force ROTC, does that mean I'm joining the military? No. You won’t sign a contract to serve in the Air Force until you either accept a scholarship or until the first day of your junior year in the program. With Air Force ROTC, we provide you with lots of opportunities to see what the Air Force is about before signing up. And while you're waiting, you are getting college out of the way and having a lot of fun. 2. What is the difference between Junior ROTC in high school and ROTC in college? The mission of the high school Junior ROTC program is to build better citizens for America. The mission of the college ROTC program is to produce leaders for the Air Force. If you are interested in starting an Air Force Junior ROTC program at your high school, visit http://www.afoats.af.mil/AFJROTC/ApplyforUnit.asp. 3. Do I have to be in Junior ROTC in high school to be eligible for ROTC in college? 4. Do I have to join Air Force ROTC as a freshman? No. Any student with at least a year remaining in their studies should be eligible for our program. Please give us a call and we’ll determine if you have enough time remaining in your studies to complete AFROTC. 5. Can I enroll if I didn't take Air Force ROTC as a freshman? Yes. You can enroll in Aerospace Studies 101 and Aerospace Studies 201 (your university may have a different name) and be what we call dual enrolled. 6. Can I attend Air Force ROTC without a scholarship? Yes, you can. Many of our students do not start with a scholarship, but many earn one eventually. 7. I didn't receive an Air Force ROTC scholarship before I started college; are there scholarship opportunities while I'm in college? Yes. Depending on how many years you have left in college, you may qualify for a two- or three-year scholarship. For more details on scholarship opportunities, please contact our Air Force ROTC Recruiting Flight Commander. 8. Is preference shown toward scholarship cadets? 9. Are there any restrictions as to what students select as their academic major? None at all. In fact, we encourage you to take a curriculum you are interested in and in which you have the capability to do well. Our main academic concern is that you maintain a Grade Point Average (GPA) above 2.5 and attain your degree in the time period planned. The GPA requirements are different if you are applying for a scholarship and once you are on scholarship. Check our Scholarships section for those specific requirements. 10. Can I pursue graduate education after I'm commissioned? Yes, you can! The Air Force is education-oriented and financially supports graduate studies. You can apply for the Air Force Institute of Technology to earn an advanced degree on full scholarship. Additionally, most bases have graduate college programs, and you may apply for the tuition assistance program that pays 100 percent of the tuition cost. 11. How often can I take the Air Force Officer Qualifying Test (AFOQT)? The test is given several times during the fall and spring and can be taken a maximum of two times with at least 6 months between tests. 12. I'm prior service – do I have to attend the General Military Course (GMC)? Maybe. The Professor of Aerospace Studies may waive some or all of the GMC if you are prior enlisted. This is determined by the amount and kind of experience you had when you departed prior service. 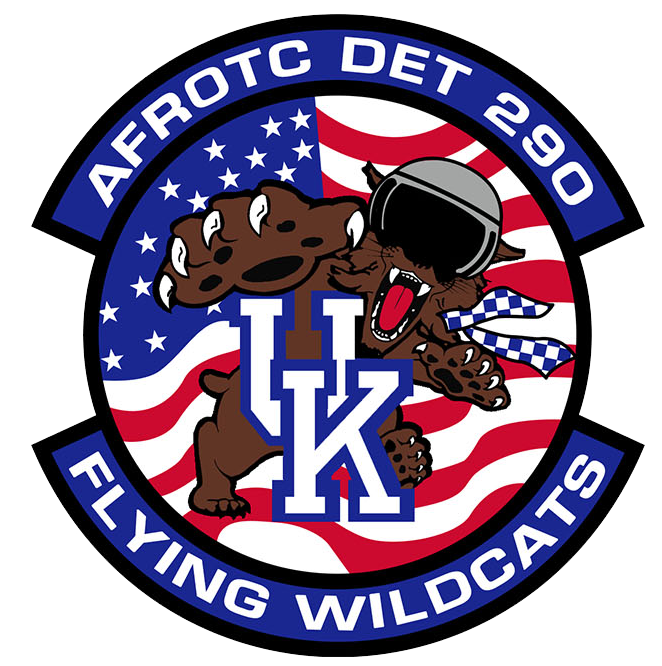 You may want to attend the sophomore Air Force ROTC classes and/or the preparation sessions for Field Training with the sophomores to see what Field Training with Air Force ROTC is all about. Prior service cadets normally attend the 2-week camp. 13. If I take Air Force ROTC classes, am I committed to military or government service once I join? If you are interested in becoming an officer, there is NO service commitment during the first two years of the Air Force ROTC program (the General Military Course) unless you have an Air Force ROTC scholarship. If you decide to stay and join the Professional Officer Course (POC; the last two years of the program), you'll sign an allocation contract with the Air Force and then incur a service obligation. For Air Force ROTC scholarship students, you're obligated once you've activated the scholarship. 14. What are the other Air Force commissioning opportunities? Commissioned Officer Training is a 4-week program designed for professionals who have received a direct commissioned appointment as a lawyer, chaplain or into a corps of the medical service. And Reserve Commissioned Officer Training is a 13-day intensive program designed for hard-to-recruit Air Force Reserve and Air National Guard medical service officers. 15. Are there special programs for active-duty airmen? Yes. There are several programs available. Some involve scholarship opportunities, while others are at your own expense. Remember, the first step in any Airman-to-officer program is a stop at your base Education Office. Each of these programs has deadlines and age limitations, so check early. For more program details, please contact our Recruiting Flight Commander. 16. Do I receive any ROTC credit for Junior ROTC? Yes, you do. Three years of Junior ROTC (JROTC) are considered equal to three semesters of the General Military Course (GMC), and two years are equal to one year of the GMC. No credit is given for less than two years of JROTC training. If academically feasible, we generally recommend students complete all four semesters in the GMC. 17. If I encounter academic or personal problems, where can I turn for help? 18. Is the Four-Year Program more advantageous for students? 19. Do I receive any ROTC credit for Civil Air Patrol (CAP)? The unit commander can give credit for part of the GMC to cadets who receive the Spaatz, Earhart, and Mitchell Awards during any academic term of the GMC. 1. What is the commitment to the Air Force upon graduation? Most officers have a four-year commitment. For pilots, it's ten years after pilot training and six years for navigators after training. Air Battle Managers have a six-year commitment. 2. When do I know what job I will be doing for the Air Force as an officer? You will compete in a selection process much like the one of an enrollment allocation as an officer candidate. The factors to be used will include your Air Force Officer Qualifying Test (AFOQT) scores, your camp performance rating, your Grade Point Average (GPA), your academic major, your Physical Fitness Test (PFT) score, and the Detachment Commander's rating. You will know your specific Air Force job category approximately six months before you're commissioned. 3. Do I have to become a pilot or navigator? 4. When do I actually receive my commission as an Air Force officer? Cadets normally get commissioned in a special ceremony the same day they graduate. You can expect to enter active duty about 30 days after graduation. 5. Must a student go on active duty in the Air Force immediately following graduation and commissioning? 6. Can I continue my education beyond the baccalaureate level? Yes. The Air Force offers several opportunities to do so. In many cases, you can request an educational delay. This delay between the time of commissioning and reporting for active duty will be of sufficient length to allow you to fulfill the requirements for a professional or master's degree. You will assume all financial obligations. There are also Air Force Institute of Technology programs where the Air Force pays for your graduate school education. These programs are explained in detail in Air Force ROTC. 7. I don't have 20/20 vision. Can I still fly? 8. Do I have to major in Aeronautical Science to become a pilot or navigator? No. Your academic major plays a minor role in pilot and navigator selection. You can major in any degree program and compete to receive a pilot or navigator slot in Air Force ROTC. You can even be on an Air Force ROTC scholarship in an engineering or science major and compete on an equal basis for a flying position. 9. What are the age limits for a cadet to compete for a pilot or navigator position? To compete for the pilot or navigator categories, you must be able to complete your bachelor's degree and be commissioned through Air Force ROTC before you are 29 years old. 10. Will I be behind my fellow nonmilitary graduates after I complete my service obligation and decide to get out? No. In fact, many companies prefer to hire former officers over new college graduates (even those with master's degrees). Your Air Force experience, the management skills you've gained on active duty and your active-duty educational benefits can give you the competitive edge you need. 11. How do Air Force ROTC graduates compare with Air Force Academy and Officer Training School graduates? The Academy, ROTC, and Officer Training School all produce qualified Air Force officers. The Air Force achieves better diversity and talent by getting officers from more than one commissioning source. Once on active duty, the most important factor in promotion is job performance. 1. Do I have to cut my hair? 2. Do I have to wear a uniform to class every day? The only time cadets are required to wear their uniform is to Leadership Lab and during one class session during the week and three times a week with Physical Training. Occasionally, during special events, you may be required to wear your uniform. 3. How much time do I have to spend with Air Force ROTC each week? 4. How are new cadets treated? Very well. Cadet "sponsors" are assigned to new students. They can help students find classes, get textbooks, learn to wear the uniform correctly, meet other cadets and learn basic customs and courtesies. It is also the responsibility of the cadet's flight commander to help new cadets fit into the program. Many detachments also have tutoring programs and other forms of assistance. Hazing is not permitted! You'll find the cadet staff and detachment staff are concerned about your well-being and progress. 5. How much marching and drilling will I have to do? Not as much as you think. Marching/drill is sometimes practiced during your squadron time at Leadership Laboratory. There are no mandatory drill sessions outside of LLAB but usually cadets get together to practice drill on the weekends. 6. When will I receive my Air Force ROTC uniform? 7. Am I expected to participate in any extracurricular activities? Your first and foremost concern is attending classes and maintaining good grades. After this, you will certainly want to examine some of the various activities sponsored by both your university and Air Force ROTC. There's something in our program of interest to everyone. 8. Can I participate in intercollegiate athletics while a member of the Air Force ROTC program? Yes. Generally, extracurricular campus activities and Air Force ROTC are perfectly compatible – as long as you do not overload yourself with extracurricular activities. A serious physical injury while participating in intercollegiate or intramural athletic activities may cause you to be disenrolled from Air Force ROTC because of a change in your physical profile. 9. Where can I attend Air Force ROTC? Air Force ROTC is offered at over 1000 institutions throughout the continental United States, Hawaii and Puerto Rico.